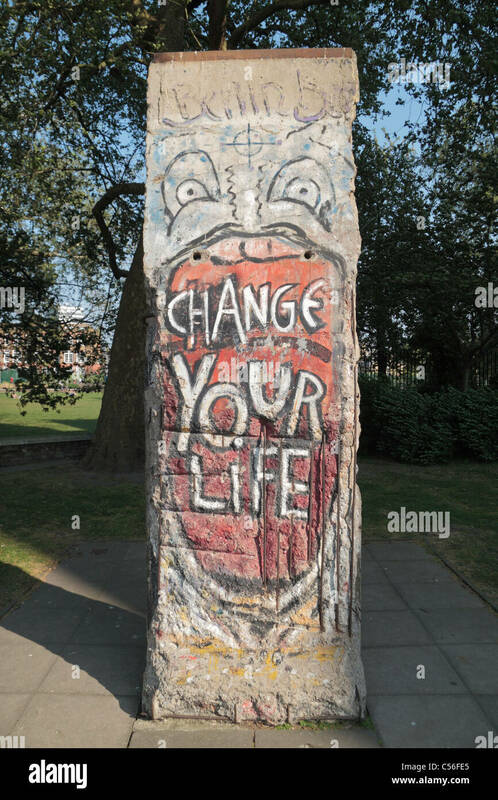 Location: Imperial War Museum, Lambeth, UK. 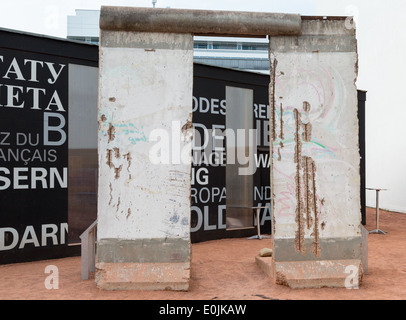 Berlin wall Potsdamer, a section of the Cold War-era wall that once divided the city of Berlin on display outside Potsdamer Platz station, Germany. 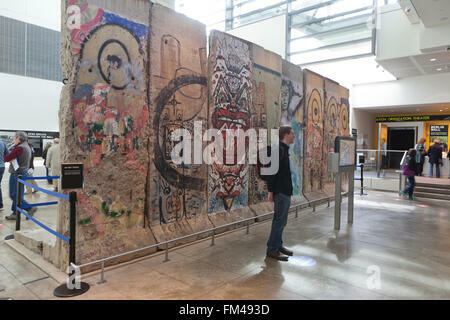 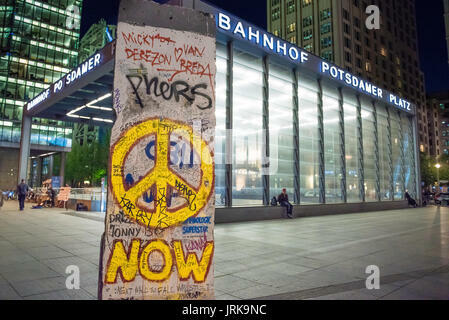 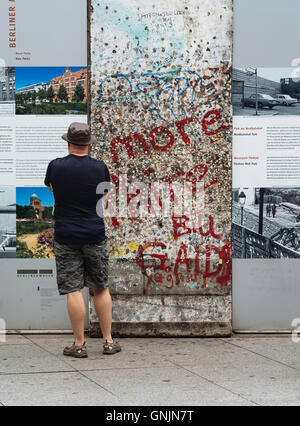 A large section of the Berlin Wall on display in Newseum, an interactive museum in Washington DC, United States. 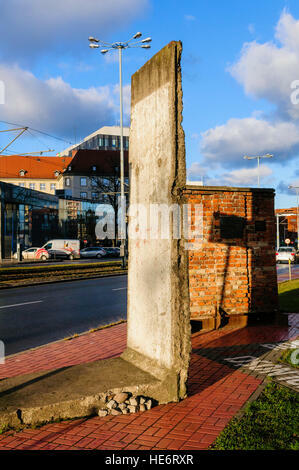 Piece of the Berlin Wall on display in Gdansk, beside the headquarters of Solidarity. 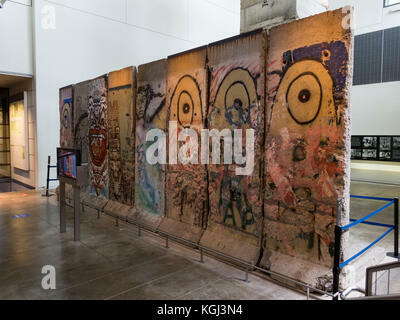 Side view of a section of the Berlin Wall on display at the Alliiertenmuseum (Allied Museum), Berlin. 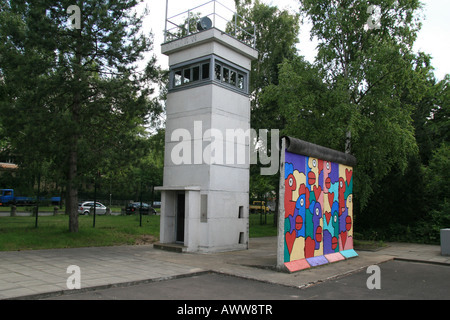 A section of the Berlin Wall and a Guardtower on display at the Allied Museum, Berlin. 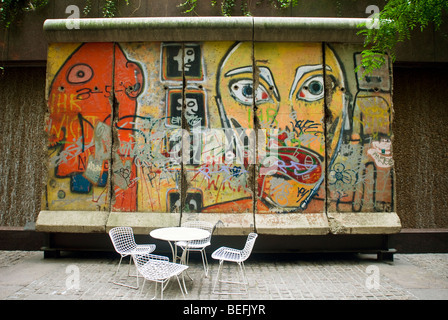 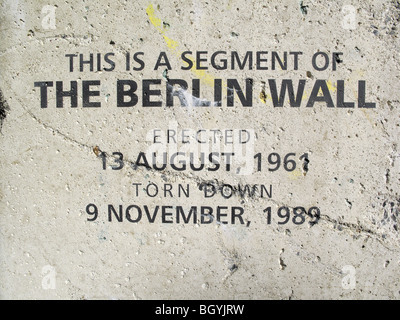 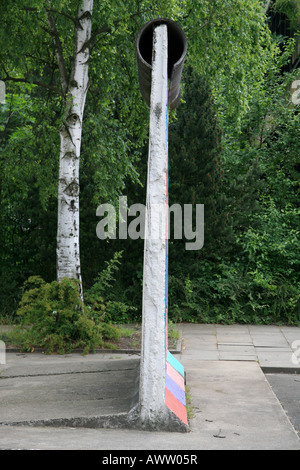 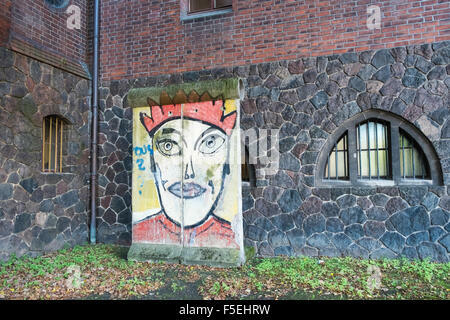 A section of the Berlin wall, on display, separated East and West Berlin, Germany during the Cold War. 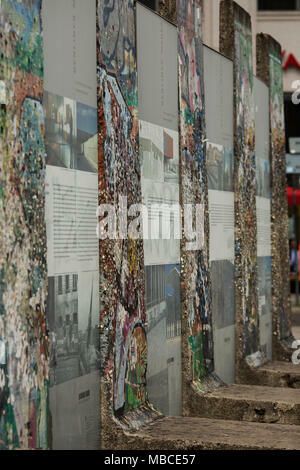 A section of the Berlin Wall on display at Potsdamerplatz.